I would like to write about foods again today. I think many Japanese people are worried about American agricultural chemical. My mom hasn't bought American meat and American cherry,even though they are cheaper than Japanese one. We imagine the helicopter does crop dusting on very wide cornfield in the United States. Anyway, I have to eat that is made in America because I have to live in here. I had tried not to be nervous so much about agricultural chemical. 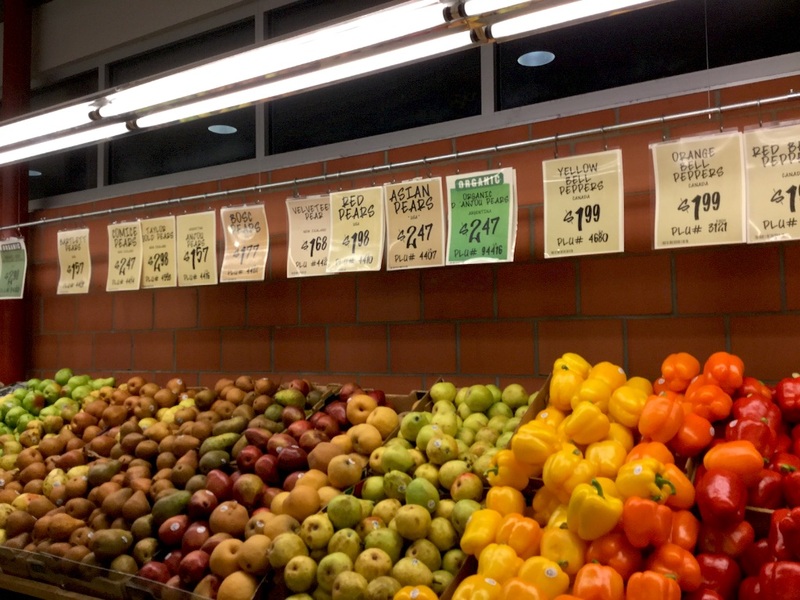 I had thought maybe it was better to buy organic fruits that we ate with peel. But I am also afraid of larvas since I have heard some organic broccolies had many larvas in it. 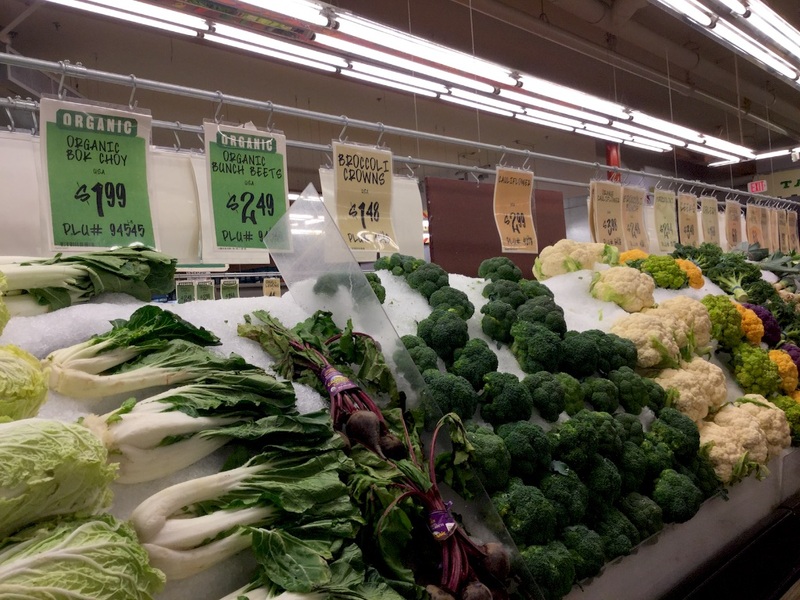 It goes without saying organic products are more expensive than others. I realize I shoud buy organic lettuce,but I don't have to buy organic cabbage. 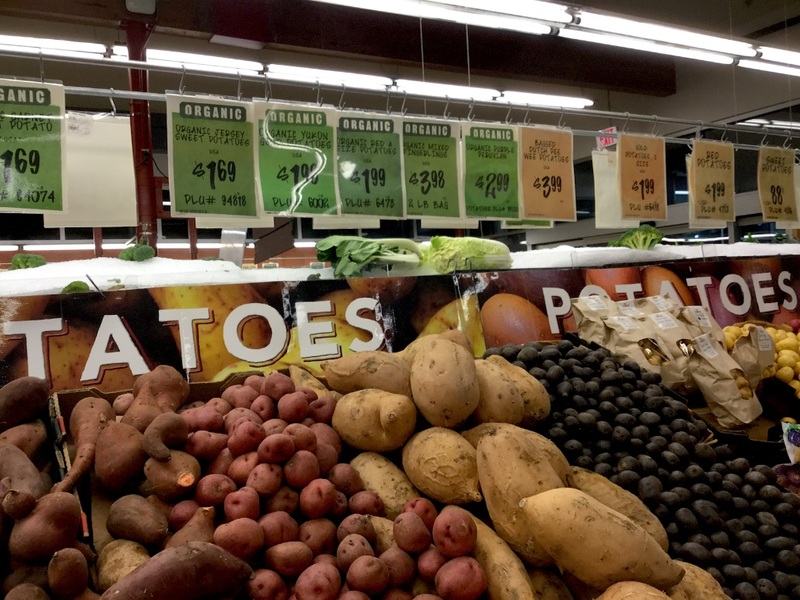 Grocery store shows us the difference of organic or conventional foods clearly. We also can see the difference by number which products have. Organic foods start 9, conventional foods start 3 or 4, and GMO foods start 8. I'd love to buy food comfortably, cook comfortably, eat comfortably. Central Market の店内。野菜、氷漬け。These are inside of Central Market. 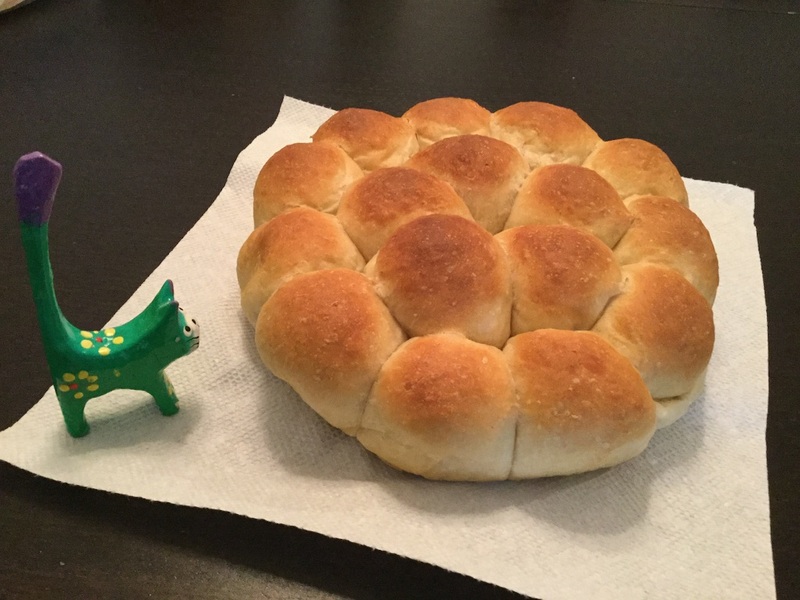 今日作ったちぎりパン。I made this cute bread today.